How To Download Update Acer Drivers For Windows 10? It is must to stay up with the updated Acer Drivers for Windows 10 so as to keep your system running great and avoid system crashes. Driver updates fix the driver conflict issues with all the devices and enhance the performance of your PC. This can cause errors or conflicts like no sound from the Acer laptop, Acer wireless not working, Acer driver service not available. So, be ready to update the latest Windows 10 Acer drivers. Acer is a well known brand known for the laptops, scanners, monitors etc. You may face problems like device is not recognized, crashes without warning or refuses to launch. You can download or reinstall the drivers from the website or the original discs. This can automate your driver update and ensure that the right driver is installed for your Windows 10 system. 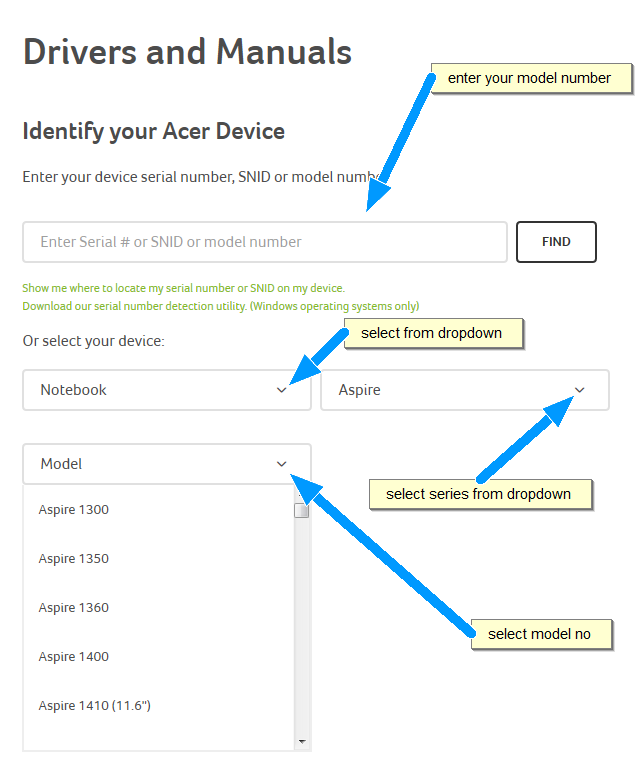 You can visit here for list of Windows 10 compatible Acer models. Here is the list of the most common Windows 10 Acer drivers that you may need. Before you start to download acer drivers for windows 10 , it is recommended that you create a restore point. It is sometimes likely that you may face certain driver concerns after updating them. Thus, by creating a restore point, you can bring back the system settings to the point where the computer was working well. NOTE: Before installing driver updates, it is recommended to create restore point. Once you have created the restore point, the next step would be to install your Acer Windows 10 drivers. 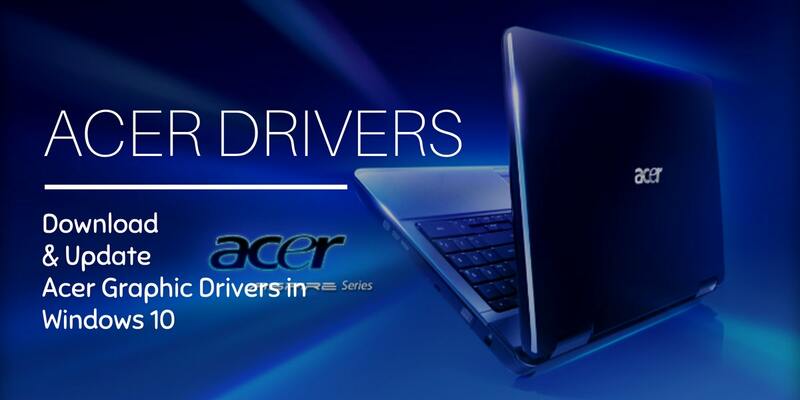 Your updated Acer Driver should now be installed! How To Fix Acer Drivers After Windows 10 Update? After you upgrade to Windows 10 the graphic drivers may go incompatible or missing so to keep your Windows system updated, please ensure that the video drivers are up-to-date. There are various methods to update Acer Graphics Drivers for Windows 10 but before that make sure to know the model of your Acer computer and the operating system (Windows 10 – 32 bit or 64 bit). Editor’s Note: There are few things you should keep at hand before starting acer drivers update. Serial number or SNID (How to locate your serial number or SNID) . The serial number has twenty-two characters (numbers and letters). The SNID has eleven or twelve numbers. Download serial number detection utility here. In Device Manager, expand category Display adapters. See the display card installed on your computer. Click Windows Update in left pane. In the right pane, click on Check for updates, and wait while Windows find the latest updates for your computer. Method 3: Update Your Acer Drivers in Windows 10 Using Driver Restore. It’s not an easy task to find and locate the exact drivers for your device. If you are not able to update the graphic drivers for Windows 10 by all the above methods then you can surely consider Driver Restore. It is the highly recommended way to up to date Acer drivers Windows 10 without any risk. 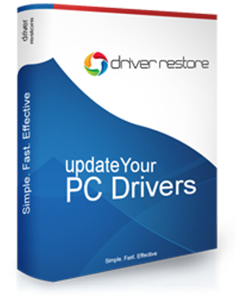 Driver Restore, is a drivers update software that can check all the missing or outdated drivers and will upgrade your system with the new drivers in just few clicks. This software tool has a professional free version to update the acer drivers. Start RUN >> it will scan the system to provide a list of outdated or missing drivers. New Window will mark the missing or outdated drivers with a red-cross sign . 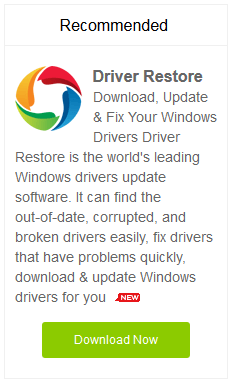 Select a driver >> Click on the Update Selected Driver button. This will initiate the driver download process. Open the downloaded file to start installation process. Prompt to reboot to complete installation. You are recommended to restart the system after every installation. Note: Please ensure to update drivers for Windows 10 after upgrade to enhance the productivity and performance of your system. (SEE VIDEO): How Do I Update My ACER Laptop drivers for Windows 10? Update NVIDIA Drivers in Windows 10? Previous PostPrevious How To Fix Windows 10 Mouse And Keyboard Not Working Issues?